Next Sunday, March 5th, as part of a double bill in Semple Stadium the Tipperary hurlers welcome Clare to Thurles for round 3 of their Allianz League Division 1A encounter. With Mick Ryan’s men the only unbeaten team in Division 1A out of the two rounds played, a resurgent Clare side will arrive fully prepared to show and put to the test their credentials as serious contenders in this year’s league. Therefore, plenty of caution will need to be exercised by Tipp as they continue the steady start to the league and to continue looking for performance and attitude in each game played. Last season Clare as winners of Roinn 1B caught Tipp on the hop in Ennis in the Quarter-Final and secured a one point win which set them on their way to securing a first league title (after a replay) since 1978. Tipperary have played Clare on a total of 54 occasions with Tipperary ahead on 38 wins, Clare have 12 and there have been 4 draws. Sunday’s referee will be Barry Kelly (An Iarmhí). It proved to be a very profitable first away trip of the Allianz Football League for the Tipperary footballers as their visit to O’Moore Park, Portlaoise last Saturday evening, February 25th saw them collect both points in a 1-16 to 1-10 defeat of Laois in Round 3. Fully deserving of their win, Liam Kearns’ side have got promotion hopes back on track and will have to keep up that momentum in the remaining four rounds. Congratulations to the team on the win and also to Captain Brian Fox (Eire Óg Annacarty-Donohill) who collected the Allianz Man of the Match award. Congratulations also to Jack Kennedy (Clonmel Commercials) and Emmet Moloney (Drom & Inch) on making their full senior debuts in that game. The leading Tipp scorer on the night was Conor Sweeney (Ballyporeen) with seven points while Kevin O’Halloran (Portroe) was the Tipp goal scorer when his long range placed ball was fumbled over the line by the Laois backs. Next up is a home game this Sunday, at 1pm in Semple Stadium as Longford travel to play Tipperary. With Tipperary second in the league on four points two behind Louth on six, the Longford men will travel with purpose in their step to try and gain ground in what is turning out to be a very competitive league. Tipp with each game however are gaining in confidence and composure as witnessed recently. Sunday will be a new test and one no doubt the manager will have the lads well ready for. The referee will be John Hickey (Ceatharlach). Tickets are on sale for both games on Sunday at gaa.ie and selected SuperValu and Centra stores, with adult tickets costing €15 and U16’s go free. Buy before match day and get 20% off adult tickets. Preparations continue for Wednesday week, March 8th, when the Tipperary U21 football team commence their Munster Championship campaign with a Quarter-Final away fixture at the Gaelic Grounds to play Limerick at 7.30pm. This will be Declan Browne’s first game in charge as manager and we wish him and his side every success in the championship. With tremendous progress made at minor level and U21 grades in recent times, it is hoped that March could prove to be a very profitable month for U21 football in Tipperary. However, success on Wednesday week will mean a visit to meet Cork in Pairc Úi Rinn a week later, so the route won’t be simple anyhow. Commiserations to the Tipperary minor footballers who having led Carlow in their third round of the Leinster Minor League last Saturday same them fail narrowly 3-6 to 1-10 with Carlow topping the group to proceed to the semi-final. Despite the negative setback on Saturday, this was a most productive run in the Leinster League for this Tipperary outfit and it augurs well for the Munster Championship Quarter-Final which throws in on April 12th against Cork in Semple Stadium. This weekend sees the start of the club season in earnest with the commencement of the Tipperary Water County Football Leagues and also the first game in the Tipperary Water County Hurling Leagues. Golden-Kilfeacle and Rockwell Rovers get the first of the football action under way with their Division 2 fixture in New Inn at 8pm this Friday night, March 3rd, while the following day Saturday, March 4th, Roscrea and Holycross-Ballycahill get the first of the hurling fixtures under way when they meet in Roscrea at 4pm. Best wishes our referees on duty this weekend; first up on Saturday evening Johnny Ryan (Boherlahan-Dualla) takes charge of the AHL Roinn 1A fixture between Dublin and Waterford and Fergal Horgan (Knockavilla Donaskeigh Kickhams) is in the middle when Limerick and Offaly meet in the AHL Roinn 1B. On Sunday then, John O’Brien (Arravale Rovers) holds the whistle when Antrim and Kildare meet in Roinn 2A of the AHL. Tipperary County Board wish to recruit “Coaches” to work, on a part time temporary basis, on its “Easter and Summer Camp” activity programme. All applicants will be placed on a recruitment panel and this applies to new and existing coaches. Therefore coaches already on the list should re-apply along with new applicants by email only, with CV and cover letter attachments to – tipperarygaacamps@gmail.com all applicants must be born on or before January 1st, 2001. Easter Camps will run from April 10th to April 21st and Summer Camps will run from July 3rd to August 25th. Applications must be received on or before this Wednesday, March 1st. Please note, only coaches who apply through the ‘tipperarygaacamps’ email will be included on the recruitment panel. If anyone requires further information please contact Dinny Maher, Games Manager 086 3551830. The result of the Independent.ie HE GAA Fitzgibbon Cup Final saw Mary Immaculate College Limerick retain their crown following an impressive 3-24 to 1-19 defeat of IT Carlow in the final at Pearse Stadium, Galway last Saturday. Congratulations to the Tipp contingent involved with Mary I including Ciaran Barrett (Clonmel Óg), David Sweeney (Kiladangan), Ronan Maher (Thurles Sarsfields), Alan Flynn (Kiladangan), Stephen Cahill (Thurles Sarsfields) and Tadhg Gallagher (Kiladangan) all starting on this historic day while Andy O’Brien (Sean Treacys) was also on the panel. Ronan Maher accounted for four of the Mary I points total while Stephen Cahill chipped in with one. Commiserations to Dale O’Hanlon (Carrick Swan), Mark Russell (Lattin Cullen Gaels) and Tommy Nolan (Drom & Inch) who all played and contributed enormously to the IT Carlow cause on the day and in the campaign. Garda College Templemore claimed the Independent.ie HE GAA Ryan Cup following their 5-23 to 1-9 defeat of IT Sligo in the final held in Pearse Stadium also on Saturday last. It was quite a unique day for the Maher family with Padraic Maher (Thurles Sarsfields) joining the winners enclosure where brother Ronan was already ensconced following his win with Mary I. Also on the Garda College team were Diarmuid Ryan (Eire Óg Annacarty Donohill), Tommy Doyle (Thurles Sarsfields), Michael John Carroll (Clonakenny) and Matthew McGrath (Drom & Inch). James Woodlock (Drom & Inch) was Manager of the team alongside JK Brackens duo Aidan Ivers and Ray Doyle. Two of the Tipperary contingent on the GMIT Letterfrack panel which captured the Fergal Maher Cup were Gary Donnelly (Clonoulty-Rossmore) and Colin Brosnan (Cashel King Cormacs) as GMIT defeated Marino Institute of Further Education 5-12 to 4-9. Ciara Clarke, GAA Injury Fund Manager wishes to confirm that that the Player Injury Fund is open for registration on the GAA Management system. Following a number of queries already, please make sure you open https://people.gaa.ie using Google Chrome. If anyone opens the site using Internet Explorer, they will get a blank screen on the PIF History tab. This issue has been raised with Servasport. All clubs please note that you can now go in and register your teams for this season. Best wishes to all Mid Clubs who take part in this year’s Mid Tipperary Scór Na bPaistí Final which will be held on Saturday next, March 4th at 7pm in Holycross. Ten different clubs will be represented on the night, with the winners going forward to a County Final in Cashel on March 12th. Your support as always would be very much appreciated. The Scór committee are hoping that all of our páistí will take part in the Art Competition again this year. The judges were most impressed by the quality of the entries last year and we appreciate the time and energy that all our mentors, teachers, parents and participants put into Scór activities year after year. Maith sibh your divisional representatives will be happy to advise you. All clubs are circulated with application forms for the Gaeltacht scholarships in early February and the form will also be available for download on the Tipperarary GAA web site. Bígí cinnte go bhfuil na foirmeacha i gceart agaibh agus go bhfuil cláruimhir an chlub breactha síos agaibh. Cuirfear na hiarrthóirí go léir faoi agallamh arís i mbliana. Bí ag faire amach ar na fógraí sna nuachtáin agus ar an suíomh. Make sure your application is in by the appointed date. There will be a club children’s officer workshop this Thursday, March 2nd at 7pm in Thurles Sarsfields Centre. A facilitator from Croke Park will be in attendance to give the workshop. The workshop is 3 hours and participants must attend the full 3 hours in order to receive a certificate. All club children’s officers are encouraged to attend this workshop as it will be very informative and beneficial to their role within the club. Any queries please contact Caitriona Maher, Mid Tipperary Children’s Officer, 085 7307533 trina.maher@gmail.com. A record number of members have signed up already for 2017 and we thank you for your support. The member’s gift in 2017 is a specially-produced DVD of Tipperary’s 2016 season. 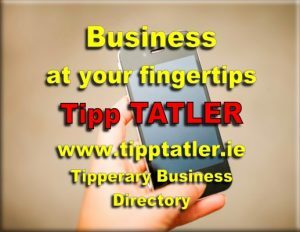 Supporters can join on line now on tippsupportersclub.com/join by credit card or debit/laser card. 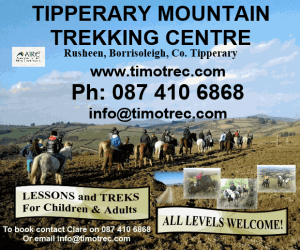 Membership is €40 per person. Also on the website details are available of the direct debit facility; as the Club is run on a completely voluntary basis it would be a great help if members could join by direct debit. We are encouraging members to switch to Direct Debit payment by offering a reduced charge of €30 for all Direct Debit members in 2017. It’s easy to sign up for Direct Debit, just download the two-page form from the Tipperary Supporters Club website at http://www.tippsupportersclub.com/join/ fill it out and send it to Jim Reidy at the address below. Membership is available from each division: South – Aidan McNamara; West – Kevin Barron; North – Joe Hannigan and Kevin McLoughlin and Mid – Trish Gavin.